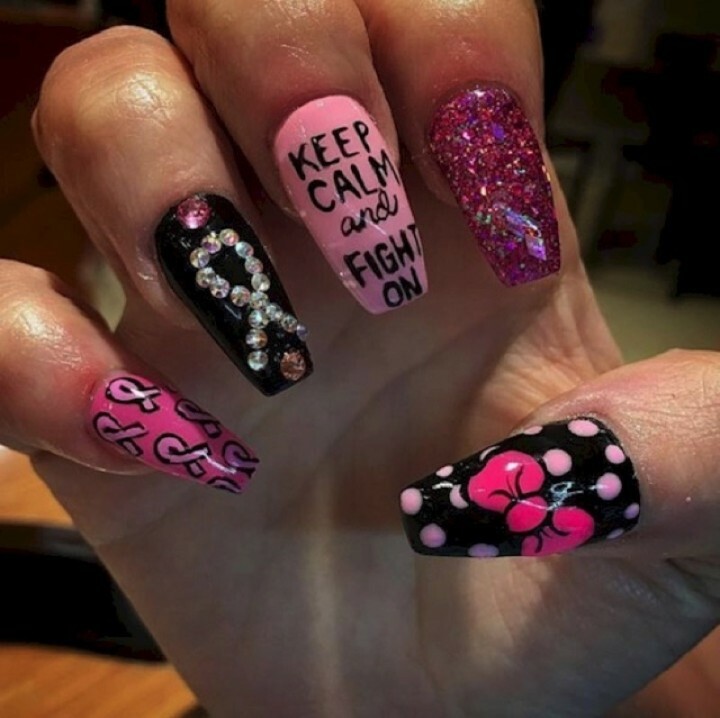 When people think of October events, Halloween may come to mind but it is also an important month for bringing awareness to breast cancer. Huge advancements have been made in the treatment of breast cancer and it is because of generous people who support cancer research. 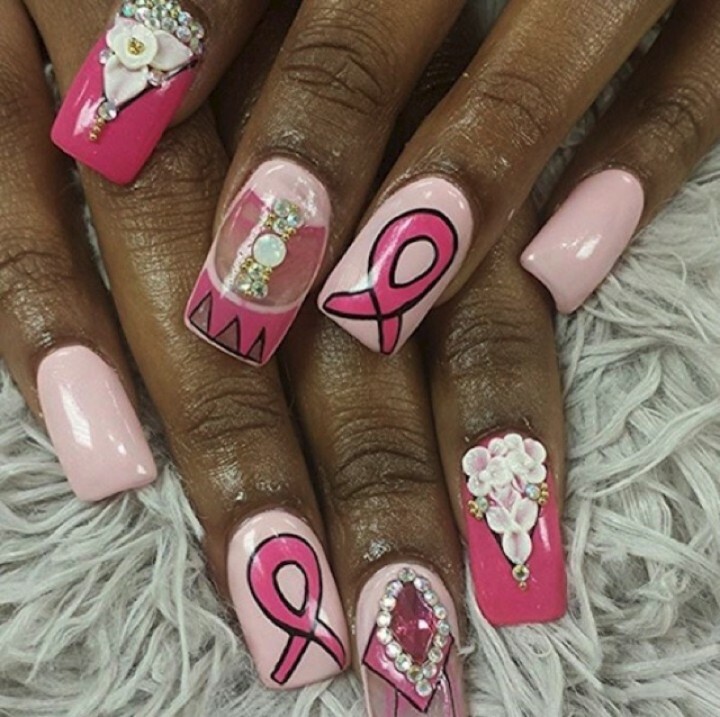 Breast cancer awareness and early detection should be something woman AND men should think about. 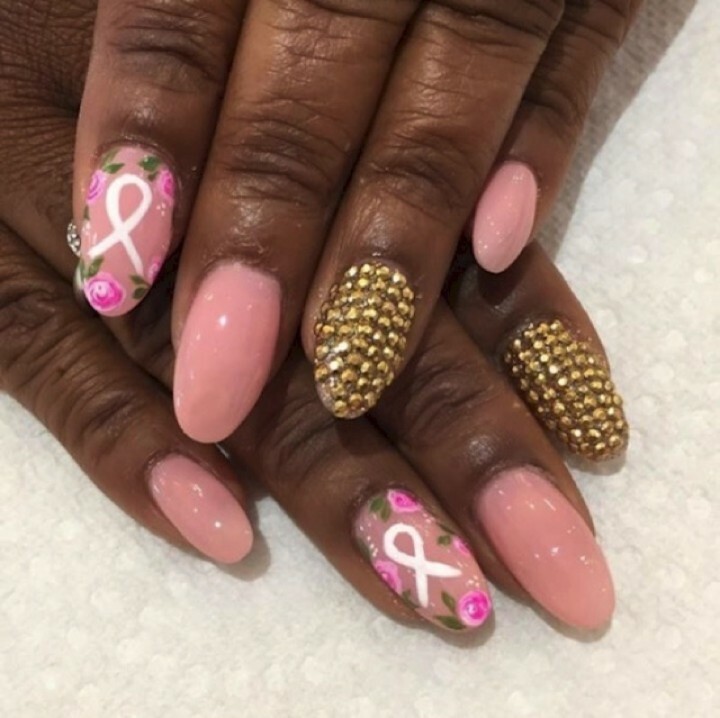 Sporting these 19 breast cancer nails showcasing the ‘pink ribbon’ will help remind others to get screened regularly and promote good breast health. 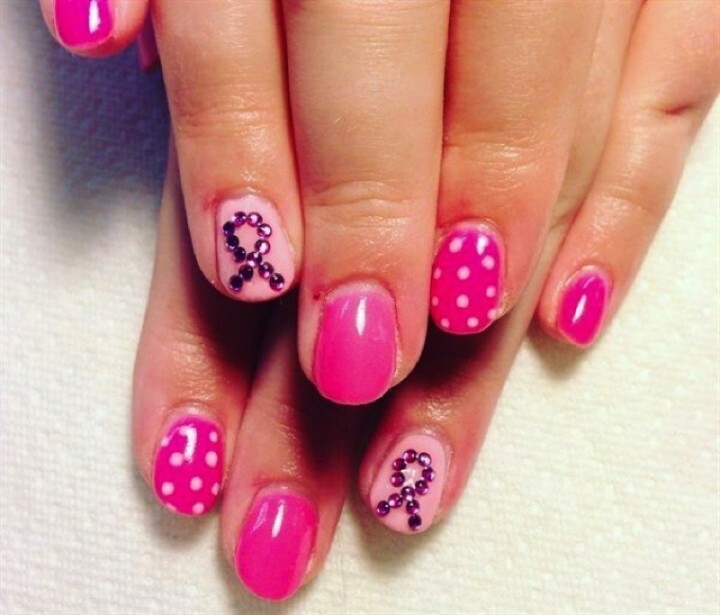 1) Gorgeous pink polka dot nail art. 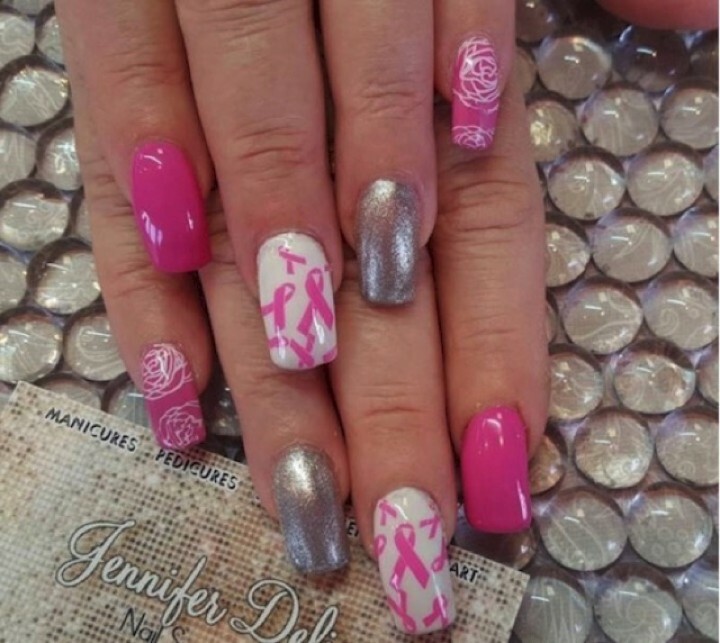 2) Silver and pink go great together. 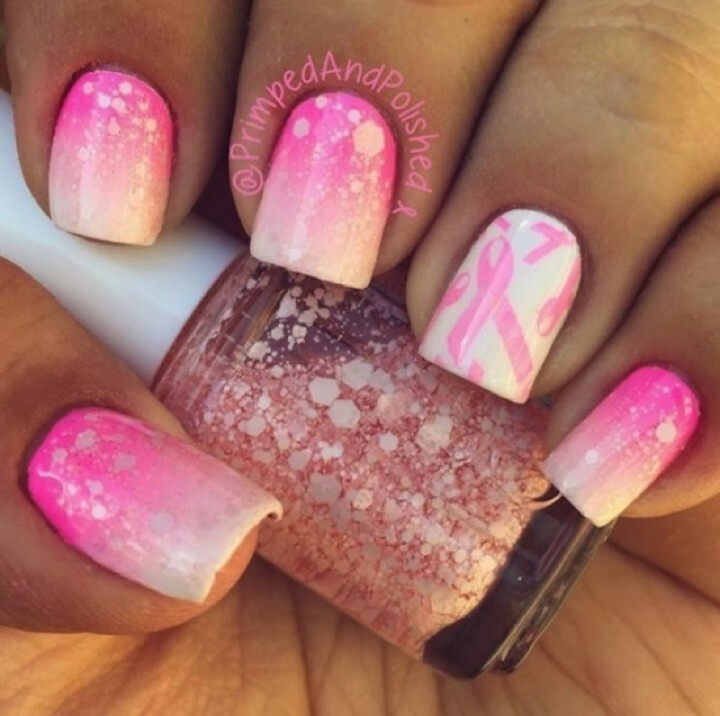 3) Beautiful gradient breast cancer nails. 4) Say with flowers and gems. 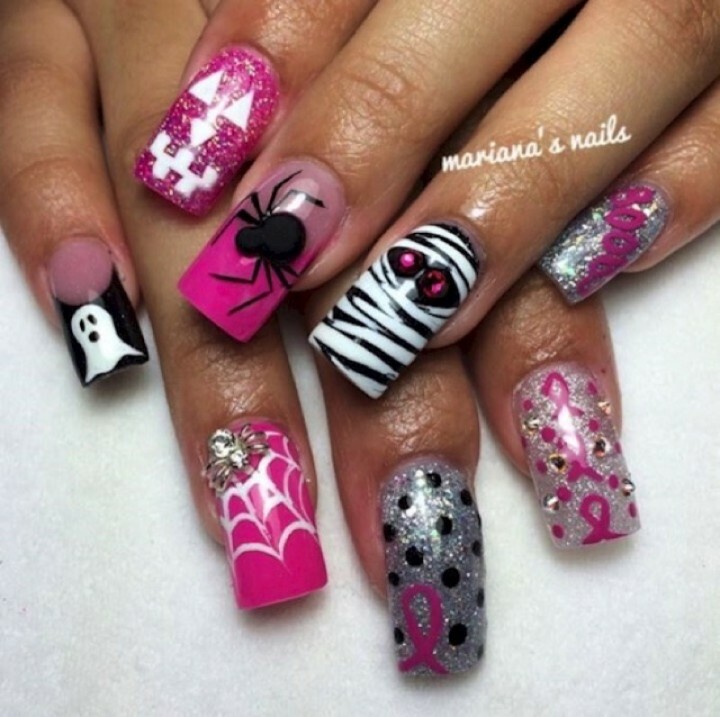 5) A great way to promote during October with Halloween nails. 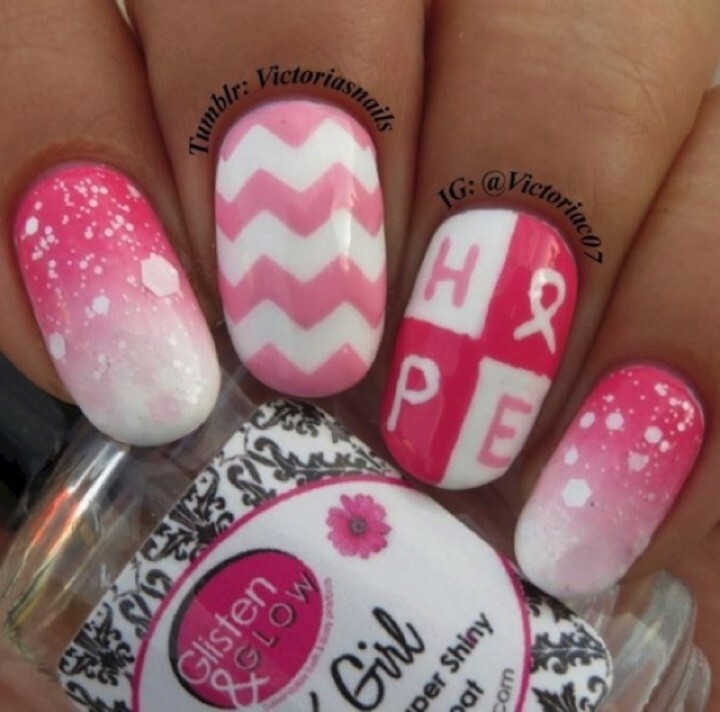 8) An awesome shade of pink. 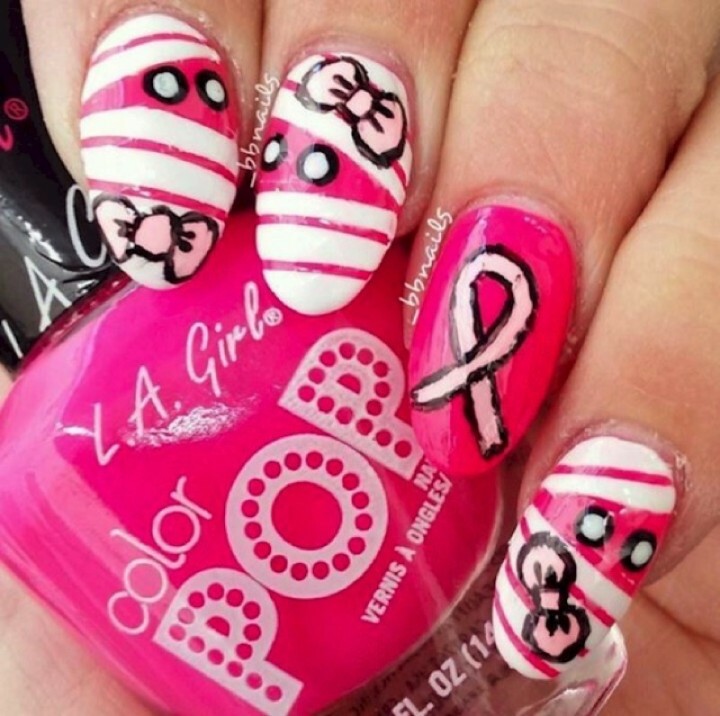 9) A pretty nail art design. 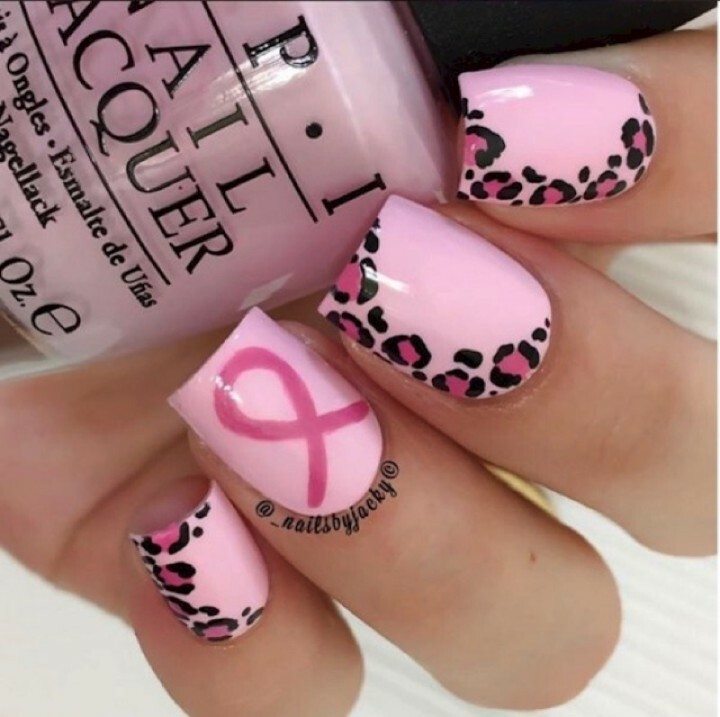 10) Amazing pink leopard print nail design. 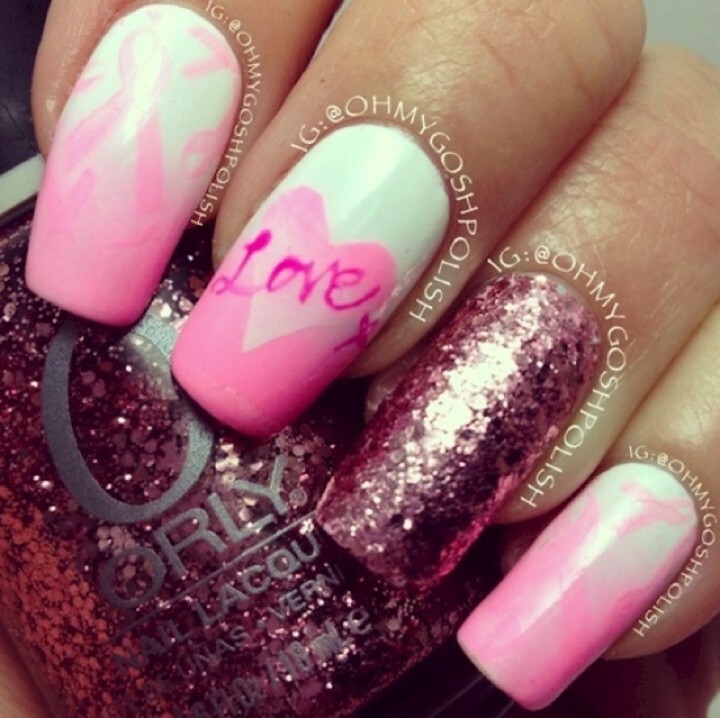 11) Love the heart-shaped design of this accent nail. 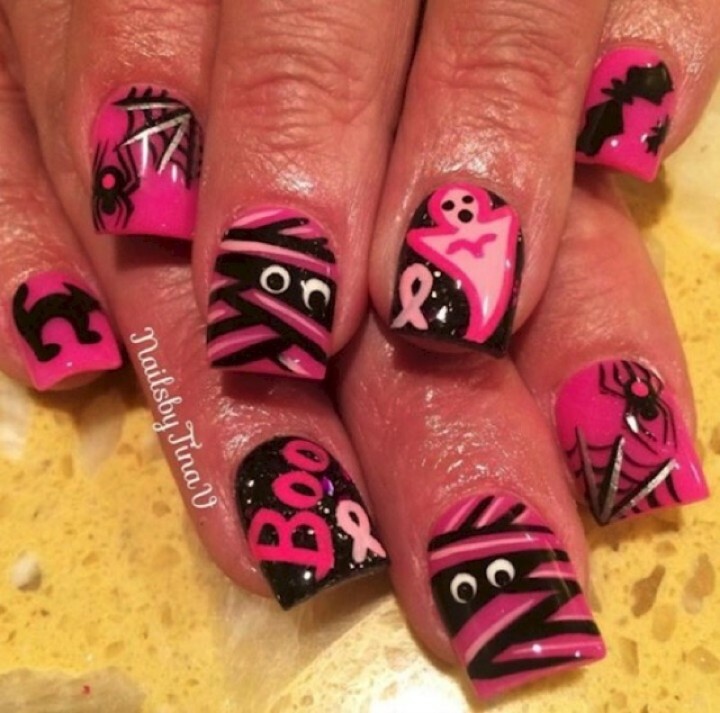 12) Pink mummies also show their support for breast cancer awareness at Halloween. 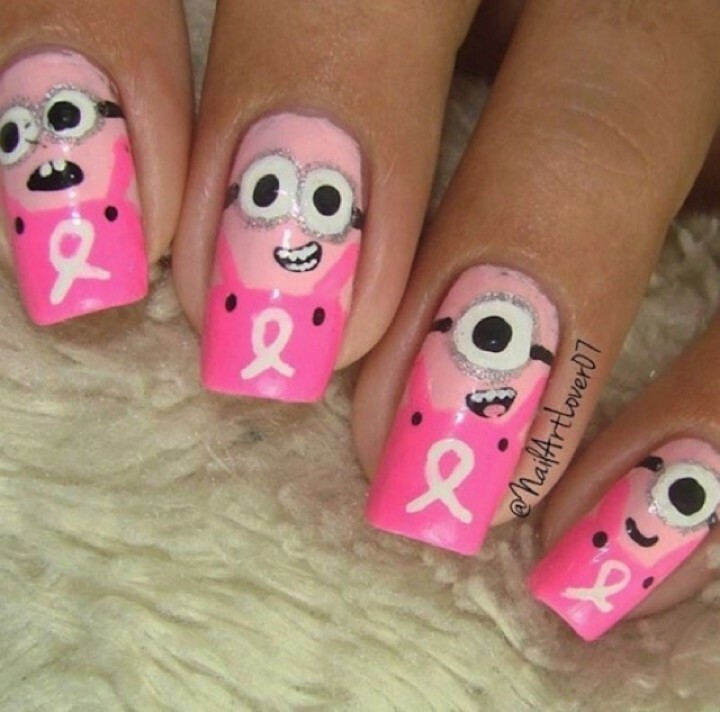 13) The Minions also want to promote breast cancer awareness. 14) A very classy design. 15) Another awesome Halloween design. 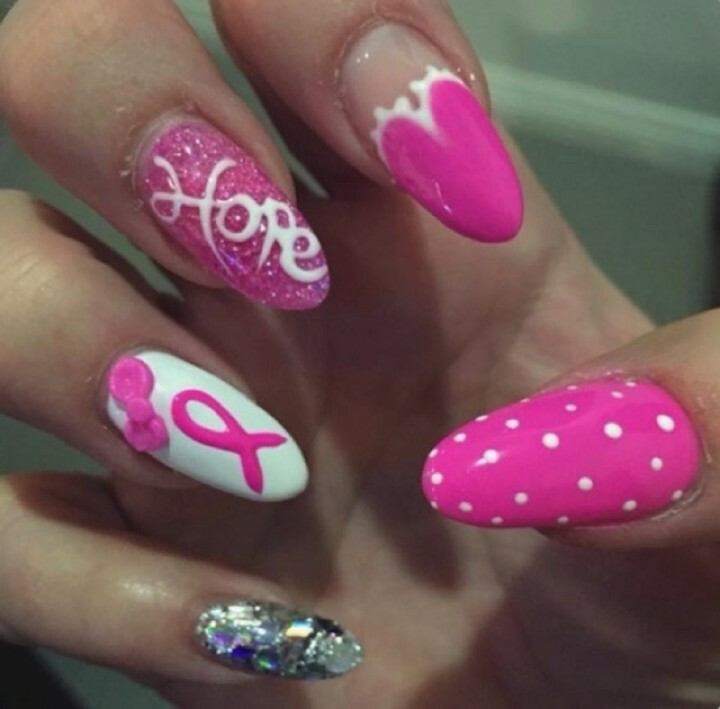 17) These nails are awesome! 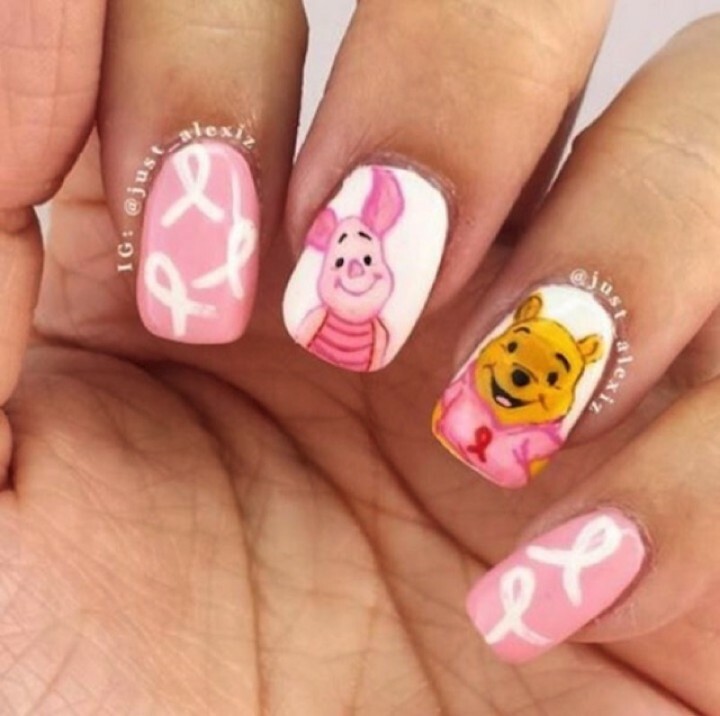 18) Think pink with the lovable pooh bear and piglet. 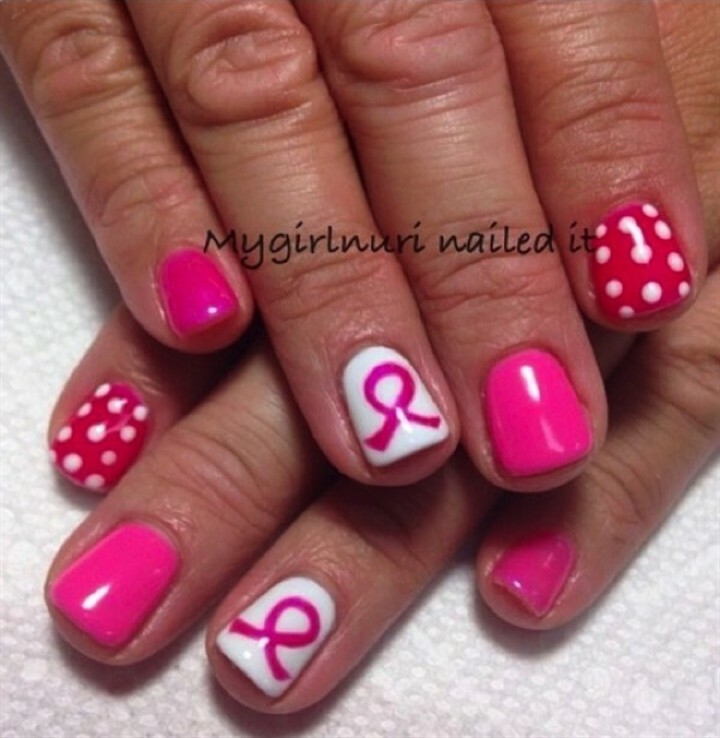 19) Support breast cancer awareness all year long. 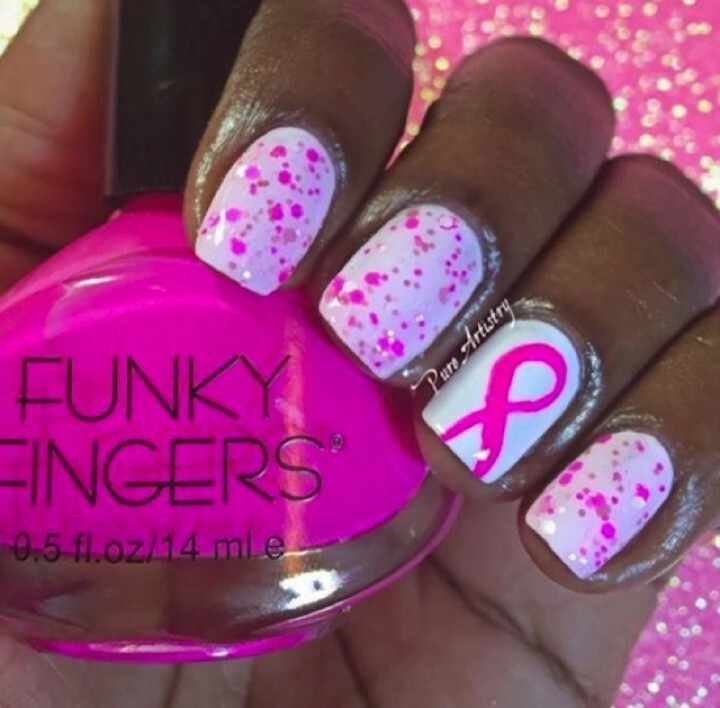 Easy nail designs for the lazy girl in all of us. Beautiful green nails perfect for fall. 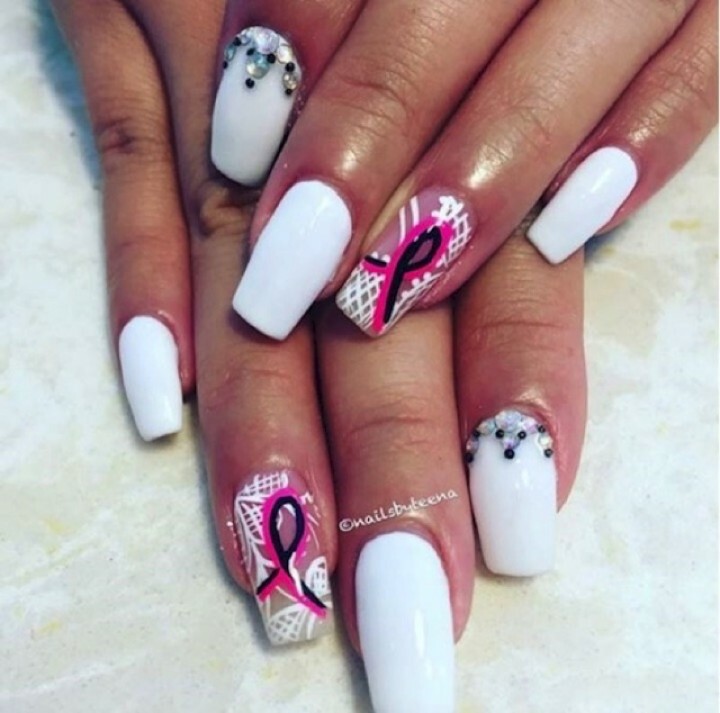 Chic and trendy black nails. 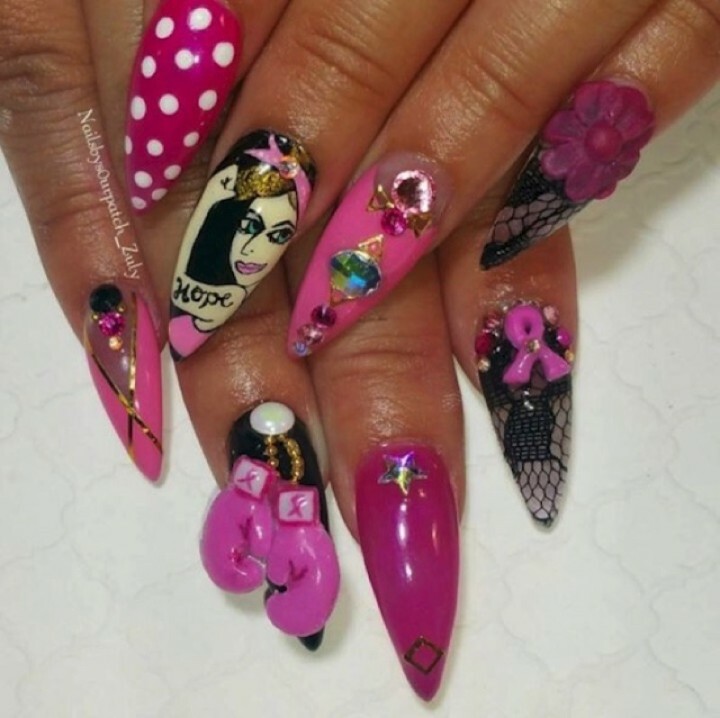 Please share these 19 breast cancer nails promoting breast cancer awareness with your friends and family. 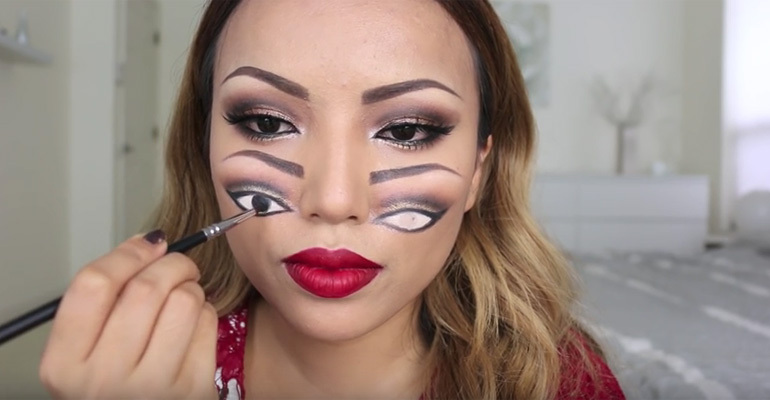 She Draws Eyes on Her Cheeks. 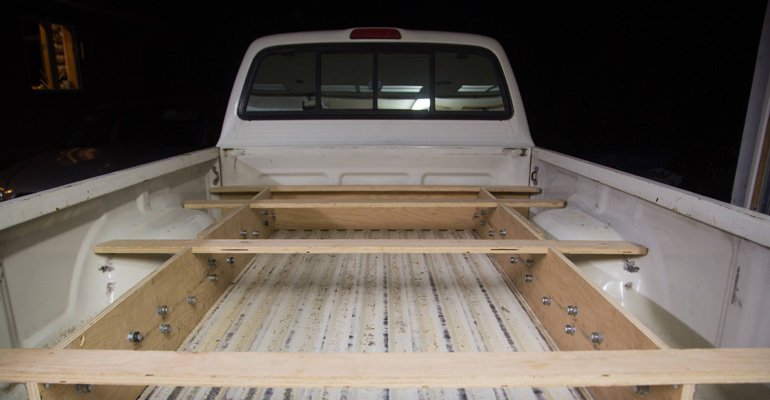 When She’s Done, I Couldn’t Believe My Eyes…and Hers!